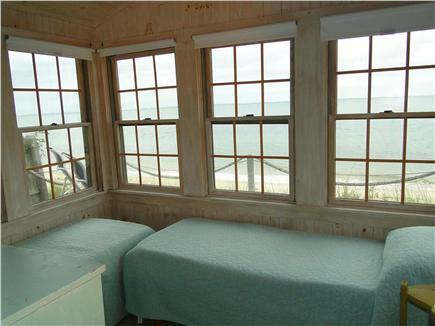 King Master bedroom, with views of deck and beyond! 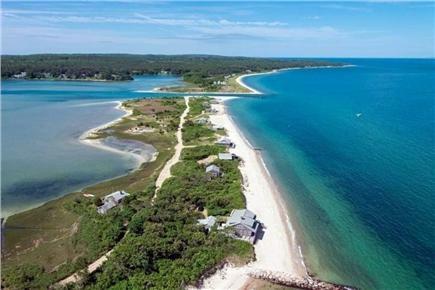 Located on a barrier beach with the ocean in front and a salt water lake in back, this unique piece of property offers solitude and privacy but is only two miles from Vineyard Haven Center. 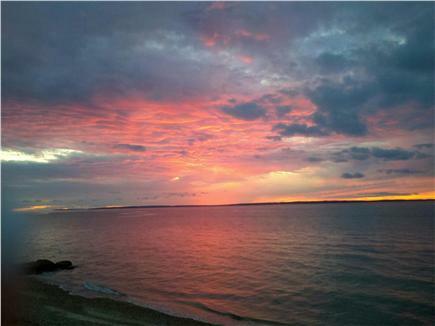 Breath-taking views of sunrises over lake and sunsets over ocean. 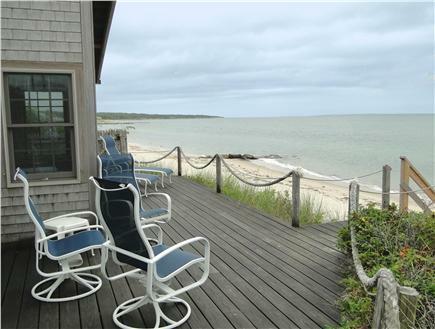 Outside there is an open front deck with panoramic views across the Sound. 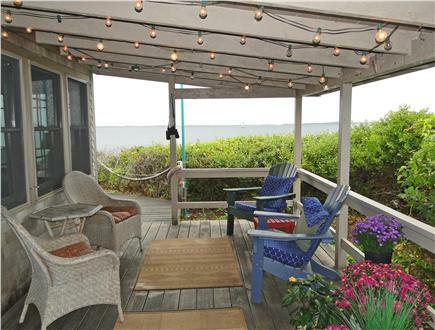 A covered side porch with views of both ocean and lake has a table for day and evening meals. 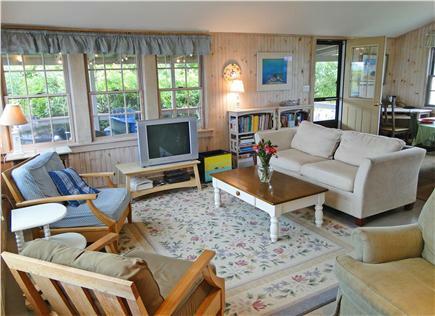 There is also a brand new separate studio(perfect place for a private nap) with spectacular views of the Lake. 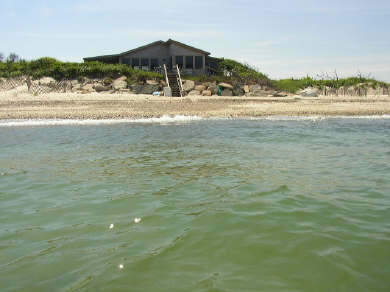 Swimming, fishing, shellfishing, boating all on a private ocean beach or private salt water lake beach. 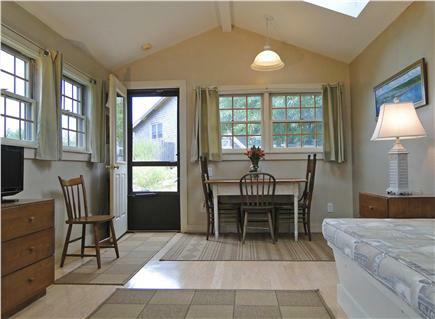 The main cottage has been completely renovated with all new lighting and cathedral ceilings. 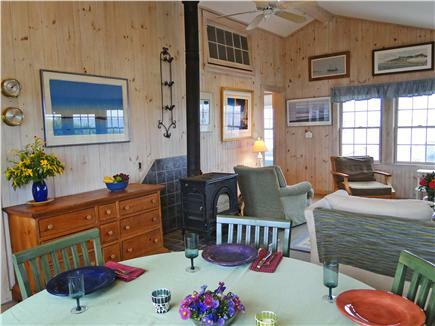 There is a large dining table and sitting area with lots of comfortable chairs for reading and a sleep sofa. 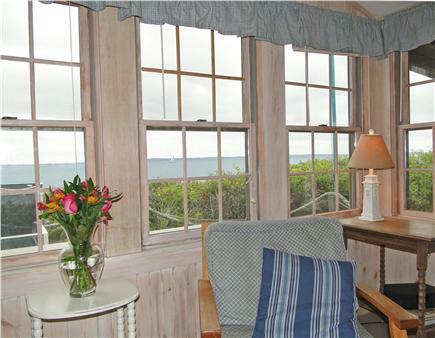 Every window (34) has a water view. 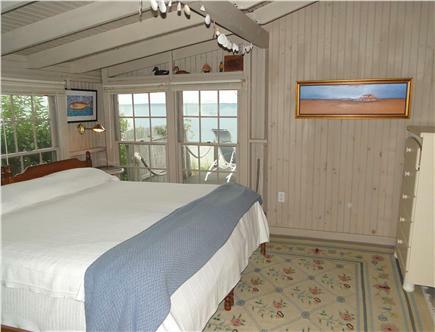 Master bedroom has king size bed and smaller room has two twin beds. Studio has two twin beds (no bathroom). 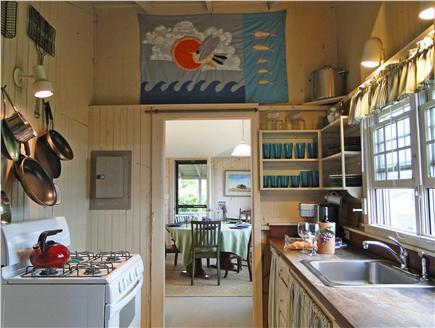 This cottage offers the utmost in privacy. 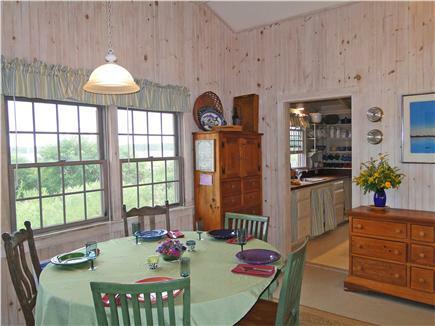 Also within walking distance to a public golf course. 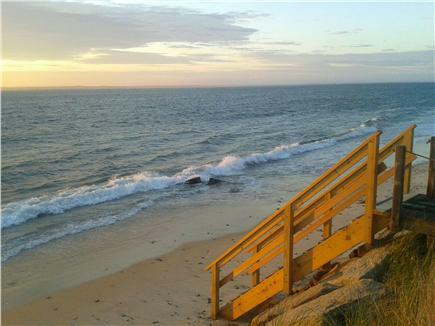 Perfect spot for two couples or one couple with children.